I’m very pleased to welcome Helene Leuschel to the blog today. Helene tells me she has fond memories of strolling along Portobello prom with her Scottish husband and in-laws and hopes to visit again next year. Her book Manipulated Lives was published in June 2016 and you can order a copy online here. I have a copy to read so watch out for my review early next year. Thanks for joining me Helene. First of all, would you tell me a little about yourself? I was born and raised in Belgium to German parents and the fact that Belgium has three official languages somehow ignited my passion for languages, different cultures and reading and writing in general. I gained a Licentiate in Journalism, which led to a career in radio and television in Brussels, London and Edinburgh. I moved to the Algarve in 2009 with my husband and two children, working as a freelance TV producer and teaching yoga. I recently acquired a Master of Philosophy with the OU where I deepened my passion for the study of the mind. Manipulated Lives is my first work of fiction. I have always loved writing and it is one of the main reasons I chose to study journalism and communication. Reading books is my favourite pastime, be it on my ipad, phone or on paper version. Ever since I learnt to read and write, I always considered being an author as the best job in the world. But it’s not until a few years ago that I truly believed that I could become a writer myself. During my recent studies for my MA in Philosophy, I developed a keen interest for psychology, the philosophy of mind and more specifically the human capacity for empathy. Personal tragic circumstances (a close relative has been the victim of psychological abuse for almost two decades) and the completion of a couple of creative writing courses with the OU and Oxford University have eventually made me pick up a pen and transfer my ideas into the writing of this collection of novellas. Manipulators are everywhere and to some extent we all do use manipulative tools to reach our goals. It is a survival skill but one that if present in a narcissistic and perverted individual who lacks the capacity for empathy is dangerous for all those who get in contact with them. When it started to become clear that I was going to publish my collection of novellas – encouraged by my beta-readers and some indie author friends to go the self-publishing route – I had a lot of research to do. I found a few fantastic books to read about book marketing and self-publishing and many informative forums on the Internet which made it much easier than I thought to contemplate going it alone. I think what I have learnt to be essential during the whole process was to find an independent editor. No matter whether you are with a traditional publisher or on your own, your book must be as perfect as possible. I reached out to editors and was truly grateful to meet Elaine Denning via a friend of mine. Elaine is not only honest, supportive and very professional in her approach but I felt she understood and appreciated my work! It made all the difference to my confidence because on the day I hit the publication button, I still felt like a gladiator sent out into the arena, knees shaking but still proud to have reached the end of this journey. A teenager is the central character in the fourth story, who is charmed by one of her students and finally, an ageing mother in the fifth story who is questioning her parental responsibilities in contributing to her son’s demise. All five stories aim to highlight to what extent abusive manipulation can distort lives and threaten a person’s feeling of self-worth. 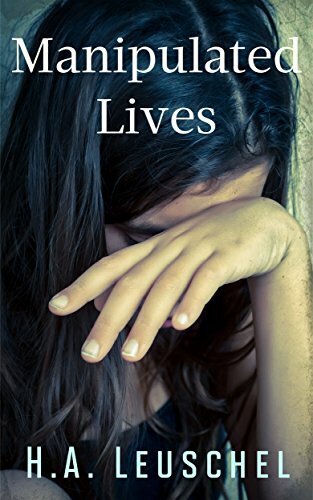 Initially I had ‘Broken Lives’ in mind for it because toxic manipulation inevitably destroys someone else’s potential to live a normal life and can crush their projects, hopes and dreams. I then changed it to ‘Manipulated Lives’ because I felt it was more relevant to the idea that manipulators treat their fellow beings as if they were objects. They lack the empathic skills to experience them as individuals with equal worth to live a fulfilled life. My husband opened a bottle of chilled Prosecco. Yes, I am working on my second book, this time a novel rather than a collection of novellas. I will allow myself to quote three because they all came to my mind as being great reads for different reasons. The first is Zoran Drvenkar’s YOU because of its very unusual style (the author uses the second person perspective throughout the whole book. It does take some getting used to but does make sense once you get into the storyline) and fascinating range of characters. I was sucked in from the first page and it felt like being taken down a black hole, nowhere to hold on to and nowhere I could stop. The second is Revenge of the Tide by Elizabeth Haynes because I’d always wondered what it was like to live on a houseboat near London and what made women want to do pole dancing. The third is Valentina by S.E. Lynes because it was suspenseful and atmospheric, the characters intriguing and the story very entertaining overall. I’ve started reading Grey Souls by Philippe Claudel in November 2016. I’ve had this book on my ‘to be read list’ for years now and although I wanted to read it in the original language (French) was recently given a gift copy in German. So far, it’s very absorbing and the language exquisite. If you were on a Desert Island, what one book would you take with you? Spontaneously, I’d choose Diane Meur’s Les Vivants et les Ombres. It’s a long book (over 700 pages) yet when I arrived on last page, I didn’t want it to end yet. It would keep me busy on that island and the depth of the story, its characters and its many fascinating themes would give me much thought to ponder about. I have just written a small review about the book I mentioned above, Valentina by S.E. Lynes. I could see that being made into a film – Charlize Theron as the mysterious Valentina, Keira Knightley as the main protagonist and Bob Morley as her husband. If it’s just for a day, I would love to be Isabel Dalhousie, philosopher, art dealer and philanthropist and main character of Alexander McCall Smith’s Isabel Dalhousie Series. She lives in the beautiful Scottish city of Edinburgh, edits a philosophy journal, loves art, good food and her family. Added to this, she doesn’t need to work – it all sounds idyllic.